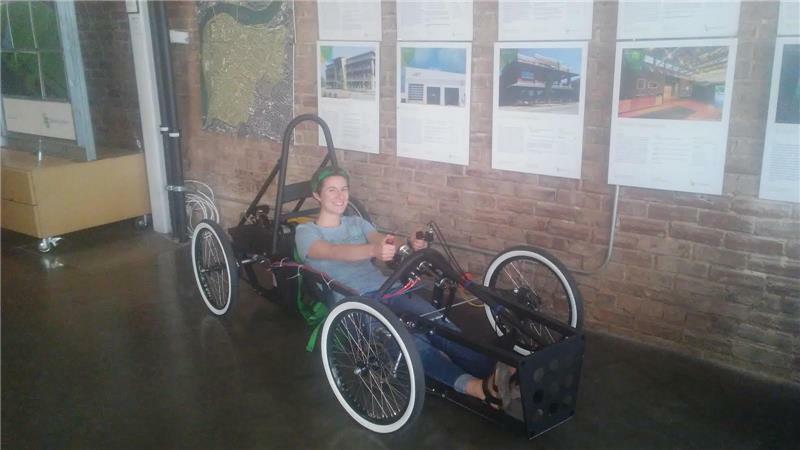 Five local middle and high schools have been selected by green|spaces as a pilot group to build the fastest solar powered electric race cars to compete at green|spaces’ 2018 Green School Summit. Howard High School, Dalewood Middle School, East Lake Academy, Chattanooga Girls Leadership Academy, and STEM School Chattanooga are in the pilot group. “A Huntsville Public Schools official was the keynote speaker at our 2017 Green School Summit and part of the presentation was about their international electric car races they host annually," said Michael Walton, executive director at green|spaces. "We thought it would be a great hands-on STEM learning opportunity for students. Plus, this adds the solar component to teach them about renewable energy." Each school will have 10–30 students on a team working on everything from designing, building, and racing the cars that on average go 18–25 mph. Each student will have a role to play including team manager, supplies and parts manager, marketing director, communications, and design manager. GreenpowerUSA base kits are provided to each team by green|spaces and teachers at the schools will be leading the teams. Teams are responsible for assembling the kits and using recycled materials to build the shell of the car. Once assembled, the team will have opportunities to identify tweaks that can be made to make the car go faster. The teams will then compete in the 2018 Green School Summit held in the spring. The winner will be judged based upon the speed of the car, creativity of design of the exterior, and a paper composed about the team’s experiences and what was learned through the project. The winner of the Chattanooga race will be sent to compete in the Huntsville International Race in May 2018. The American Association of Blacks in Energy East TN Chapter is a partner with GreenpowerUSA. The AABE works with public schools and provides STEM activities throughout the school year. Although green|spaces is only able to provide the funding for supplies to five schools, any school in the area is welcome to participate and compete. Additionally, green|spaces is seeking companies who would like to support the pilot program. Interested schools or companies can contact Dawn Hjelseth at dawn@greenspaceschattanooga.org.